Hello everyone! 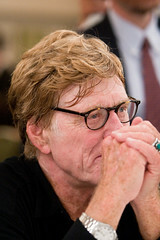 Today’s subject is Robert Redford. This Hollywood icon is a superstar on the silver screen and in the world of autographs too. He is an amazing signer that seems to always have time to sign autographs for his fans. He is also a very genuine person and if he has the time, will always chat with fans. I have had the occasion to see him a dozen or so times over the years and has never failed to be a great signer. Once when he was rushed, he told a group of collectors that he will sign for everyone when he was finished with his task at hand. True to his word, an hour later he came back and signed multiple items for everyone who had waited. Check out my autograph web store located at www.autographedfirstdaycovers.com. This entry was posted in Uncategorized and tagged academy award, Autograph, barefoot in the park, Bristol Bay, butch cassidy and the sundance kid, Hollywood, Natural Resources Defense Council, New York Times, oscar, Pebble Mine, Robert Redford, Southwest Alaska, sundance, the electric horseman, the sting. Bookmark the permalink.